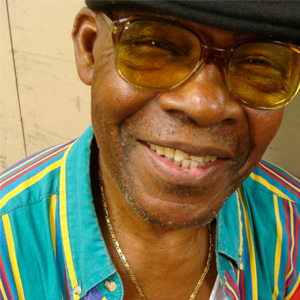 Born in Jamaica Tan Tan attended Alpha boys school and played in the Eric Dean big band with Don Drummond, Tommy McCook and Roland Alphanso which later became the Skatalites, Tan Tan left Jamaica for England where he counted Jimi Hendrix as one of his best friends. In the UK he has worked with Georgie Fame and the Blue Flames, The Small Faces (who wrote a song about him called ‘Eddie’s Dreaming’), Boney M, Aswad, The Animals, Ska Cubana, Amazulu, Kitty Daisy and Lewis and many more. He has also featured on many recordings including on The Beatles song ‘Gotta get you into my life’ and ‘She’s a Rainbow’ by the Rolling Stones.